Visual and performing arts collide for Art And…Ballet, with Artist in Residence Karina Smigla-Bobinski. During this unique evening, art becomes the muse, as students from Pittsburgh Ballet Theatre School perform alongside Karina’s installation, “ADA.” The 40-minute performance will include a variety of vignettes choreographed by Jamie Murphy. This event is FREE for everyone, but registration is required. MF members receive two complimentary drink tickets with registration. Drink tickets will also be available for purchase, and light bites will be provided. Parking is available at 1300 Brighton Road. Handicap accessible parking is available at 505 Jacksonia Street. 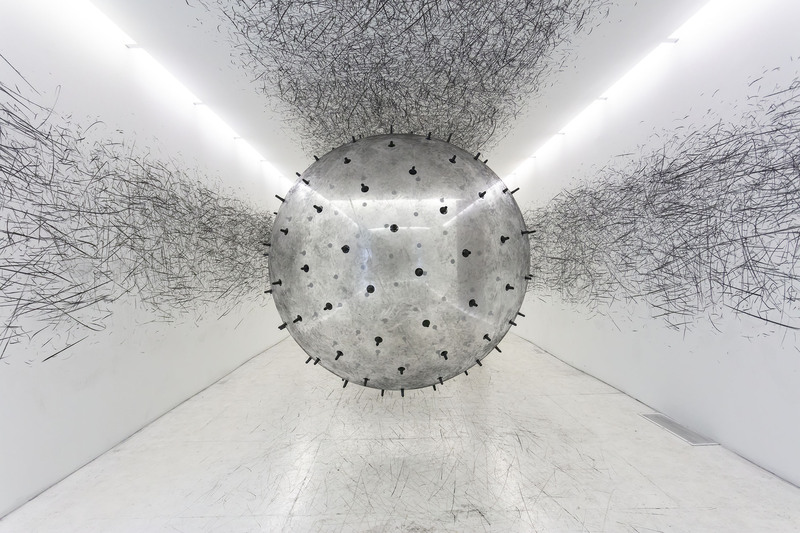 Karina Smigla-Bobinski is an intermedia artist based in Munich, Germany. Her work bridges kinetic art, drawing, video, installation, painting, performance and sculpture. She studied art and visual communication at the Academy of Fine Arts in Krakow, Poland, and Munich, Germany, and recently was a Visiting Research Fellow at Bielefeld University's Institute for Advanced Study. Her work has been shown in 45 countries across 5 continents. © 2019 ShowClix on behalf of Mattress Factory.